There are three temples of Sri Ranganathaswamy on the banks of the Kaveri River. Each temple represents a form of Sri Ranganatha. 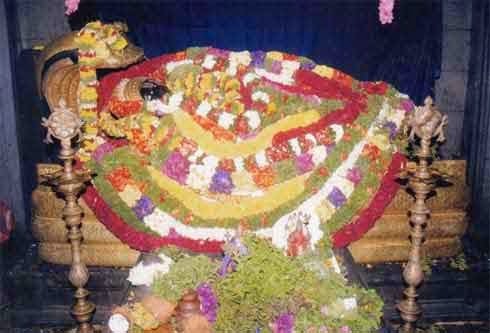 Sri Ranganathaswamy is the form of Vishnu sleeping on the milky ocean. Sri Ranganathaswamy is worshipped as Adi Ranga at Srirangapatna in Karnataka. Kaveri touches Srirangapatna first, next Shivanasamudra and then Srirangam. This is the main reason behind the belief. Another belief is that at Srirangapatna, Lord is in childhood form; at Shivanasamudra he is in youth form and at Srirangam he is in adult form. The form of Sri Ranganathaswamy at Shivanasamudra is also known as Mohana Ranga and Jaganmohana Ranga.